In the Spiral Gallery's April show, three artists have explored the ways in which mediums complement one another. "3pArt Harmony" features the work of wood burning artist and abstract painter Carol Pulvermacher, clay artist De Johnson and jeweler Julie Cooper. The show will hang in the gallery through the end of April. There will be a reception from 6-8 p.m. Friday, April 6, at the gallery, 341 Broadway St.
"I had a vision that the three mediums would be a peaceful (combination)," said Pulvermacher. "It just seemed like a fun thing to do. I strive to have fun every day." "I love how it feels. There's a feeling to it," added Cooper, discussing the way in which all of the show's pieces fit together. 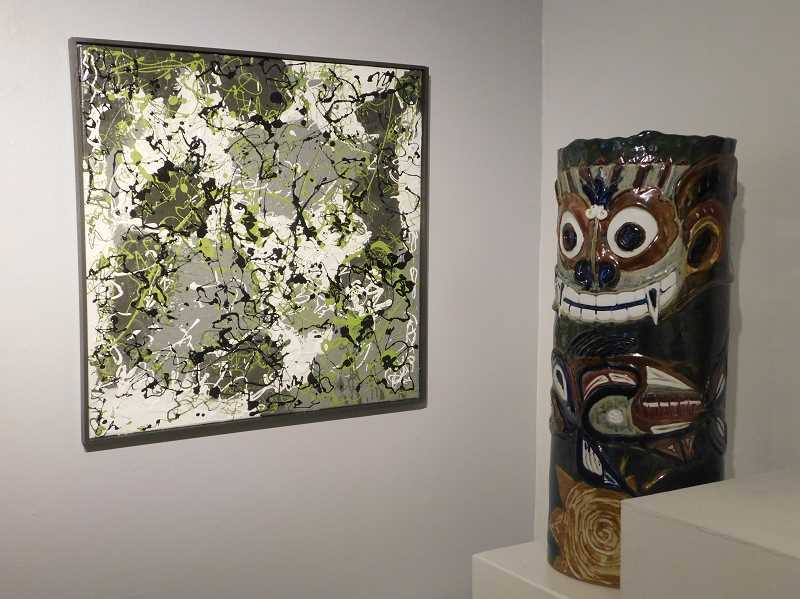 Themes of the pieces in the show include Earth-inspired colors, natural elements and Native American influences. Though they work in different mediums, all three artist enjoy the creative process. "I love creating and molding and the craft of it," Johnson said. "The process, to me, is like breathing." "It flows very nicely," Cooper added. "I love thinking of what I want to do. I enjoy all of it." They appreciated the creative process for this show in particular. "I liked that we knew we were there for each other," Cooper said. "There's acceptance and trust that we would get it done," Johnson added. Pulvermacher noted that the three have similar work styles. "We're all doers," she said. "Once we committed, we were ready to go." All three artists appreciated the opportunity to collaborate in a focused manner. "There was purpose, more so than in a larger group show," Johnson said. The artists are looking forward to the show's opening. "(The mediums) are complementary to one another. Kind of like we are with each other," Pulvermacher said.